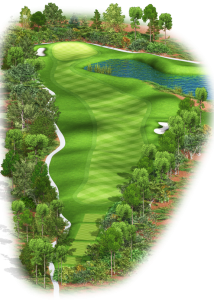 The Best Golf Rates on Biloxi golf tee times anywhere online for The Oaks Golf Club! Tee it up at the one of the Top 10 Courses In Mississippi, The Oaks Golf Club! Call (228) 452.0909 or click on the applicable booking links below to book your online tee time at the BEST GOLF RATES GUARANTEED! Book tee times online up to 365 days in advance at the best rates available! Additional savings available with demand based pricing. Book lower demand times and decreasing twilight times based on time until sunset at a discount. CLICK HERE to book your online tee time today! Current Oaks Cardmembers, OB Sports Travel Rates/OB Cardmembers can book tee times on-line! CLICK HERE to book now. Note: Must present current card at check-in to receive Cardmember rates. Not an Oaks Cardmember yet? CLICK HERE FOR MORE INFORMATION ABOUT THE OAKS GOLF CARD!